Don’t assume that modern car door mirrors adjust themselves or you could be putting your life and others at risk. You need to adjust all three of your rear view mirrors so that you get the widest view possible while keeping your blind spots to a minimum. This is particularly important on multi-lane highways where you may have to keep tabs on lanes on both sides. Many drivers do not turn their outside mirrors out far enough and simply duplicate the same scene in all three mirrors. Rule of thumb: If you can see even a glimpse of the sides of your car in your outside mirrors they are turned too far inwards. After entering your vehicle, the very next thing on your agenda should be adjusting your seat and steering wheel, fastening your safety belt, and adjusting all three of your rearview mirrors. Adjust your seat so that you are high enough to see the road, yet can still reach all of the vehicle’s controls. Many newer vehicles feature tilt and telescoping steering columns to help you get more comfortable. 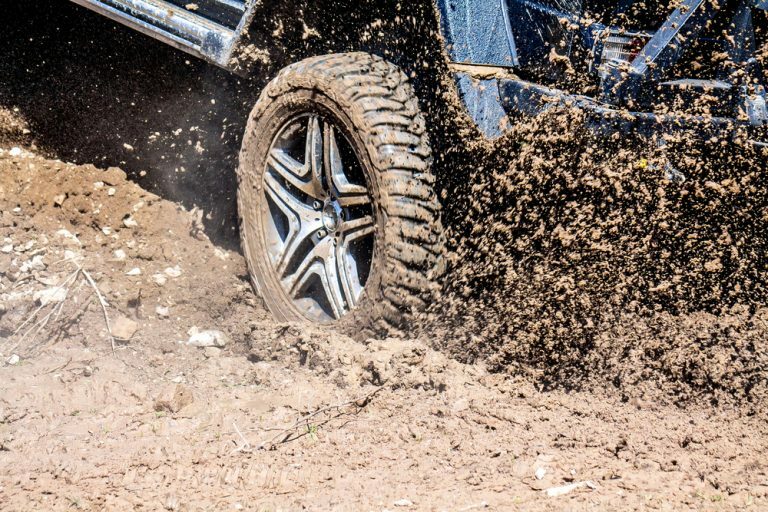 Some new Ford Motor Company products (Ford, Mercury, and Jaguar) offer electrically adjustable foot pedals that allow short, medium, and tall drivers a comfortable driving experience. If you don’t have adjustable seats, and are still sitting too low, you should use a seat cushion, or better yet, have your mechanic raise your seat permanently. Do this before putting on your safety belt. The positioning for the inside rearview mirror is fairly obvious; you should be able to see out of the rear window from the driver’s seat. Be sure the day/night switch found on most rearview mirrors is in the day position during daytime operation. The night setting reduces the headlight glare from cars behind you and helps you see better. 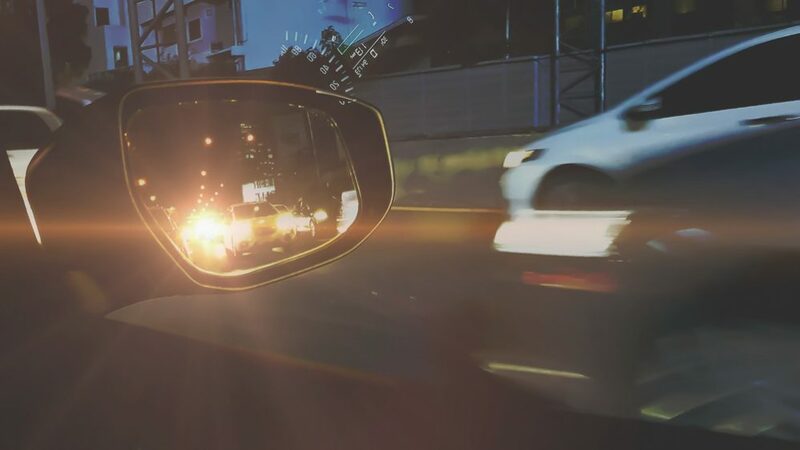 If you drive at night, you’ve undoubtedly experienced it – annoying and often dangerous glare from the headlamps of vehicles traveling behind you. 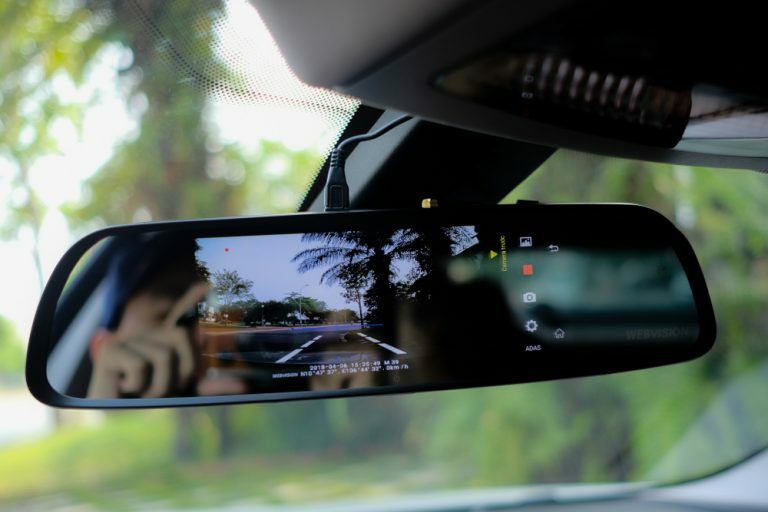 While normal rearview mirrors are equipped with a day-night switch, automatic dimming mirrors darken to reduce glare from the headlamps of vehicles approaching from the rear. 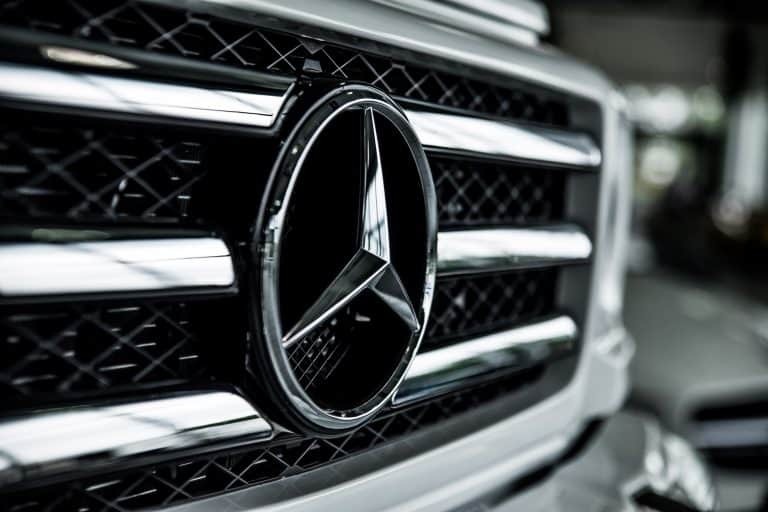 The brighter the glare, the darker the mirrors become, making nighttime driving safer. 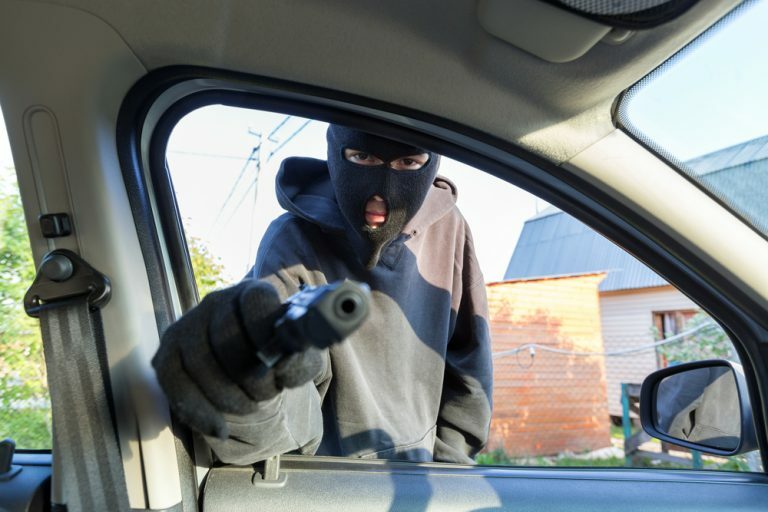 About 10% of vehicles sold in the US are currently equipped with this valuable safety feature. Usually, auto-dimming mirrors can’t be ordered separately and are only available as part of expensive luxury group packages. 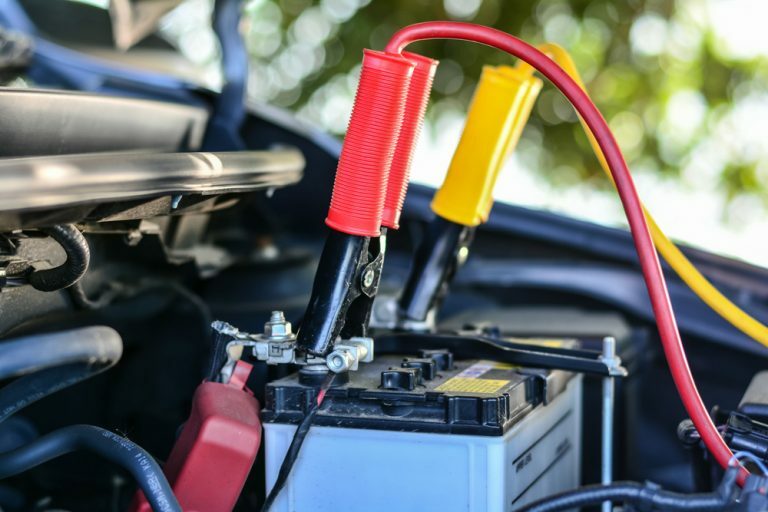 In addition to other hazards posed by sport utility vehicles (SUVs) and trucks, their headlights are usually mounted at the same height as most normal car’s rearview mirrors. When an SUV travels behind a car, the glare from its headlights is reflected off these mirrors directly into the driver’s eyes. Dr. Alan Lewis, president of the New England College of Optometry, has done extensive research on the effects of glare. 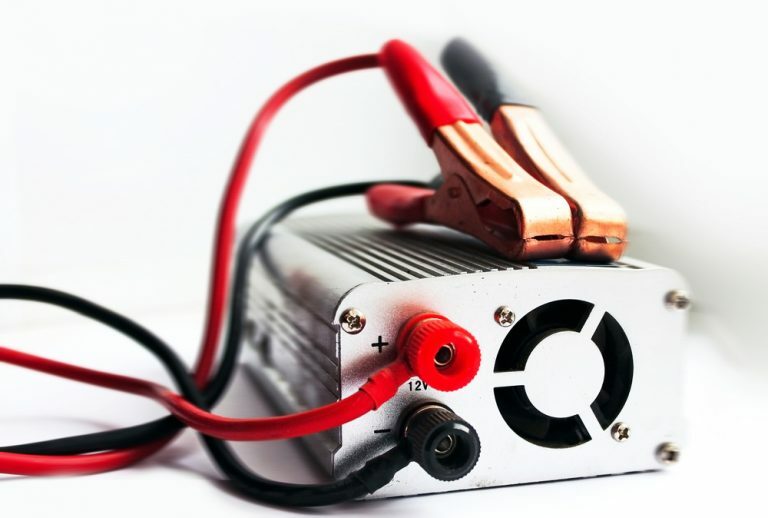 He found that during nighttime driving, headlight glare from vehicles traveling behind you can temporarily blind you, increasing your reaction time by up to 1.4 seconds, even after the source of the glare is removed. The time it takes to stop your vehicle, or to avoid someone in the oncoming lane, is doubled if you succumb to temporary glare blindness. As for the side view mirror or mirrors, most people adjust them so they can see the side of the car on the inside edge of the mirror. If you adjust your mirrors using those criteria, are you aware of the huge blind spots that you’ve created? (Now is the time to take another look at the animated diagram at the top of the page.) Consider the view when the side view mirrors are set up as just described. Essentially, you have created “tunnel vision” to the rear. 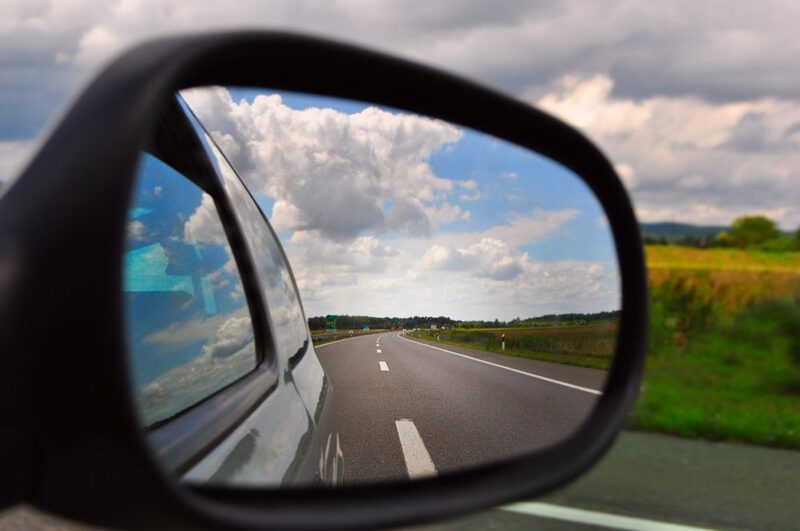 Your side view mirrors overlap much of what your inside rearview mirrors see and you’ve also created blind spots. What in the solution to tunnel vision and blind spots? Simply adjust the side view mirrors just beyond the point where you could see the side of the car on the inside edge of the mirror. With this setup, you almost completely solve the blind spot problem. It takes a little while to get used to, but it is an improvement. Some quick tips: For the driver’s side mirror: Place the side of your head against the window, then adjust the mirror until the side of your vehicle comes into view. For the passenger’s side mirror: While sitting in the driver’s seat, lean to the right so that your head is in the car’s centerline. Adjust the mirror until the side of your vehicle comes into view. You are now ready to begin your journey safe in the knowledge that you won’t have an accident while trying to adjust them while you’re driving. 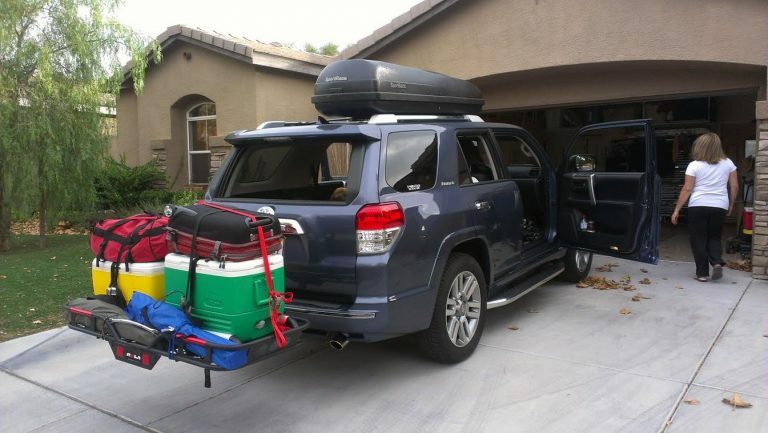 Most of us don’t think twice about backing our vehicles out of a parking spot or driveway. We should, thousands of children are killed or seriously injured every year by inconsiderate drivers who “just didn’t see” them. 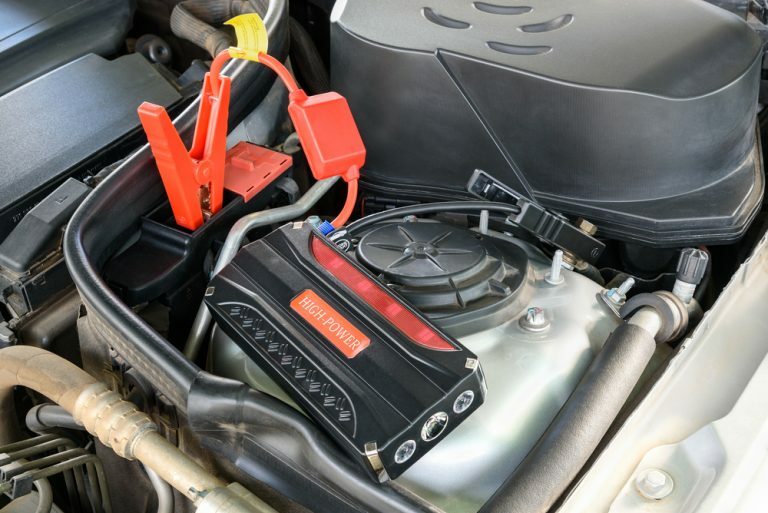 A quick walk around your vehicle before getting in and backing up is an easy way to help prevent a catastrophe. Even after a walk-around, double check all three of your mirrors before you put your vehicle in reverses. Be extra cautious in inclement weather as small children can slip on ice and snow, becoming lodged underneath a vehicle’s tire. A good friend of mine accidentally ran over his young daughter in exactly that situation. She’s been in a coma, on a ventilator for the past five years. Take great care in parking lots, residential neighborhoods, and especially near schools and playgrounds. Don’t think it can’t happen to you! 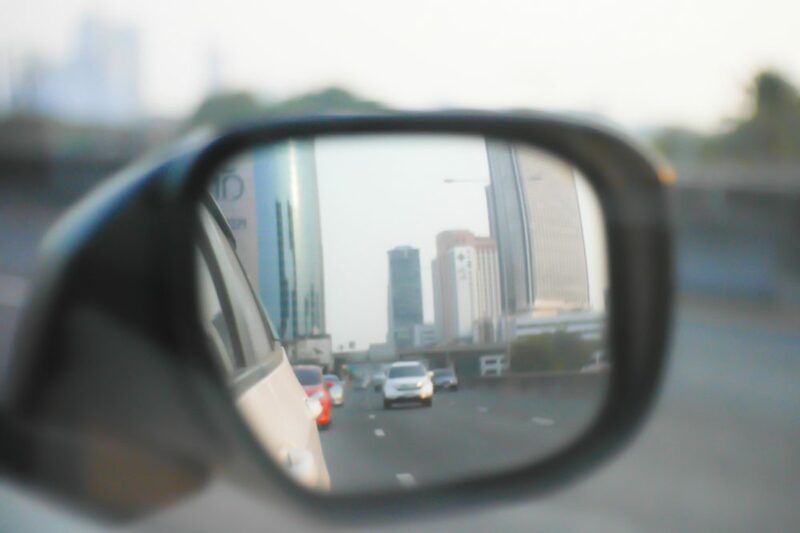 Most drivers rely on their rear view mirrors for two things, backing up, and changing lanes on the highway. 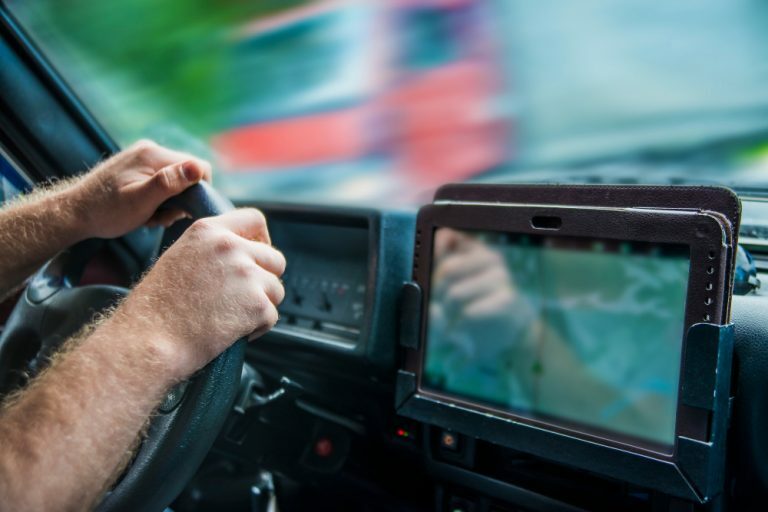 Not checking your blind spots – those areas just outside the field of vision – can have disastrous effects when merging onto the highway or changing lanes. One of the ways you can protect yourself is to make sure your vehicle’s side and rearview mirrors are positioned for maximum road view. 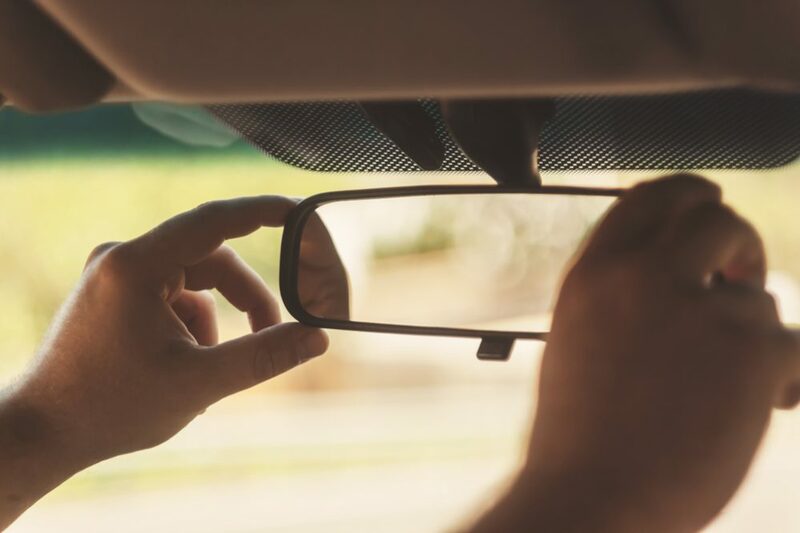 If all three of your mirrors are aligned correctly you should be able to see a vehicle leaving your rearview mirror seamlessly transfer to one of your side view mirrors without any delay. Vehicles present that aren’t visible in your mirrors are the ones you need to worry about. Drivers with good peripheral vision will see them when they check their side view mirrors. However, if you rely solely on your interior rearview mirror, you’re asking for trouble. Thousands of accidents occur each year because people changing lanes fail to see a vehicle that is right next to them. Diligent use of all three of your rearview mirrors should prevent you from getting in another driver’s way or cutting them off. 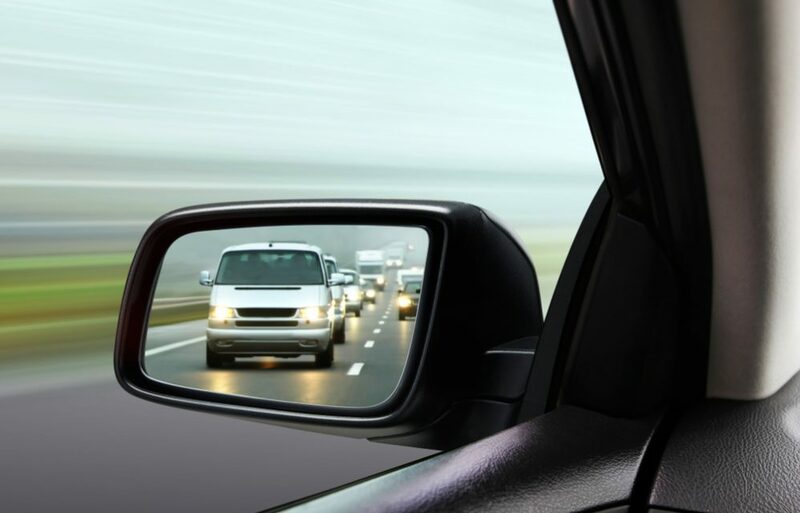 A good guideline for deciding when to move into the passing lane or back into the traveling lane is to make sure that you can see the headlights of the vehicle you’re passing in the rearview mirror. Muth Mirror Systems has introduced an innovative accessory for vehicles that helps drivers to ensure the safety of their family. Signal Mirrors use high-intensity lights to change ordinary exterior rearview mirrors into safety features that command attention. When a turn signal is activated, a flashing chevron appears in the corresponding side mirror to alert drivers in the blind spot. The mirrors appear as regular rearview mirrors when the turn signals are not activated. Many accidents are caused by lane-changing, freeway merging or front-to-rear pileups. Signal Mirrors are at the eye level of adjacent vehicles and are more noticeable than conventional tail lights. 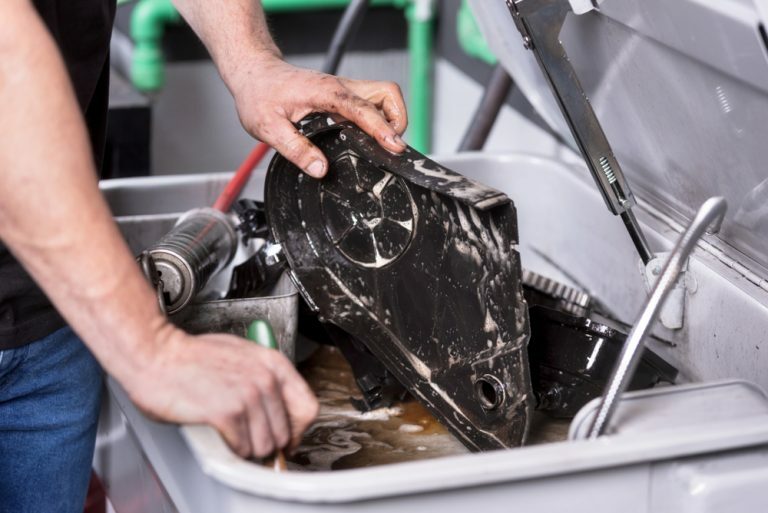 With the increased popularity of trucks, SUVs, and mini-vans and the use of those vehicles for towing, the signal from a side mirror may be the only indication drivers a few car lengths back have of the intentions of the vehicle ahead. Tail lights may be hidden by these taller vehicles or by what is being towed. The LED display used in Signal Mirrors lights up faster than regular incandescent lamps in tail lights. This accounts for a difference of 17 feet at 65 m.p.h. 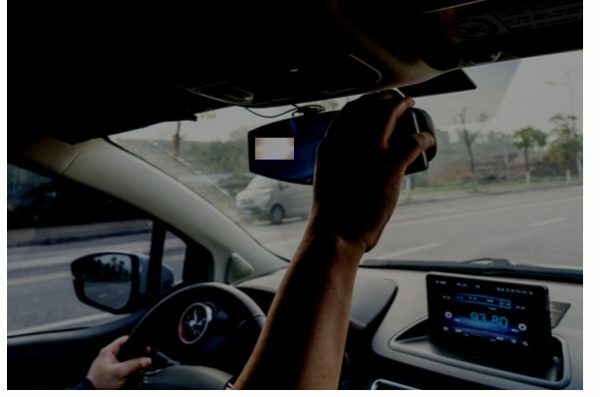 By alerting drivers in the blind spot of the vehicle equipped with Signal Mirrors, those drivers have the additional reaction time to avoid a collision. Unlike the adjacent drivers who see a highly visible lighted display, the driver of the vehicle equipped with Signal Mirrors sees a subtle tell-tale display. This reminds the driver the Signal Mirror is activated. I’m really glad that cars could already be fitted with rearview mirrors that double as signal mirrors. My dad would sure love to have this safety technology installed for all the family’s cars to keep them from figuring in any road accident related to changing lanes or merging freeways. By having flashing chevrons blinking high-intensity red lights drivers are alerted where the blind spot is helping them adjust accordingly. This technology is awesome!